Normalized spectrum of J0038–1527. 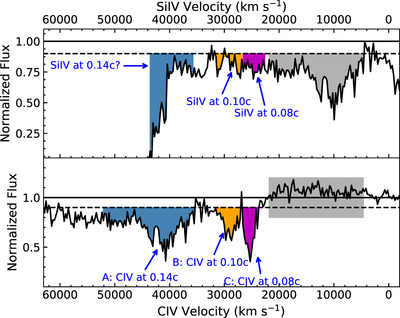 The x-axis of the top panel is the outflow velocity of Si IV, and the x-axis of the bottom panel shows the outflow velocity relative to C IV. The blue, orange, and magenta shaded regions denote three absorption systems at 0.14c (A), 0.10c (B), and 0.08c (C), respectively. The velocity range of each trough was determined by the C IV trough. 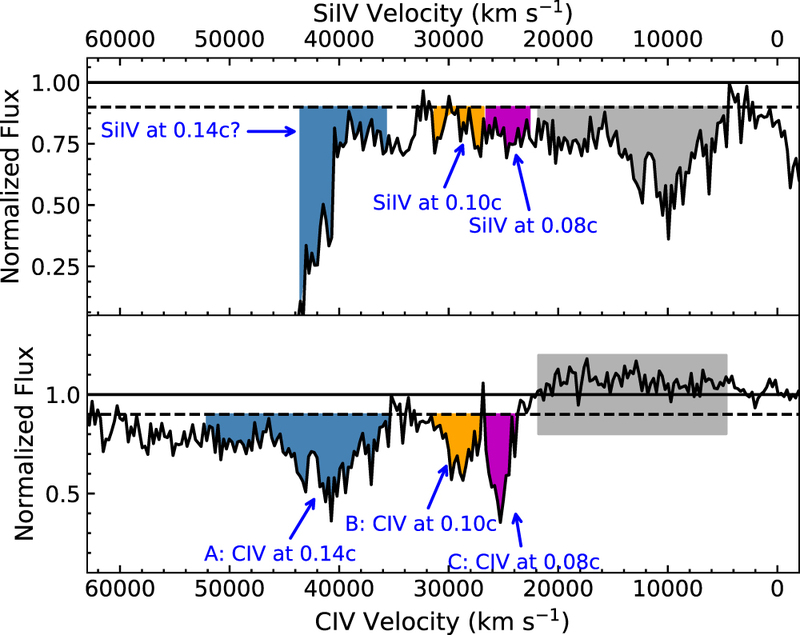 The absence of absorption in the gray shaded region in the bottom panel and strong absorption on top of Lyα and N V (blue shaded region in the top panel) suggests that the trough A is indeed an extremely high velocity C IV BAL.